A youth player with Cathkin United, Jim joined United from Stonehouse Violet and started playing in the reserves in March 1979. After a scoring debut in a Forfarshire Cup tie against Arbroath, he was drafted into the first team in September 1979 and made his full first team debut against Morton at Cappielow at the end of the month. He was an unused substitute for the memorable away tie in Belgium against Anderlecht before being given another starting place against Hibs at Tannadice in October. Although used in friendlies against Hearts, Chelsea and Stirling Albion, he was unable to command a first team slot and unwilling to go full time, he was transfer listed in February 1981 and left to join Airdrieonians in July 1981 for around £15,000. He moved to Raith Rovers in October 1982 and, after two years there, he went to Brechin City and then to Falkirk. Jim later played with Hamilton Academical, helping them win promotion to the Premier League in 1988. He was also with Partick Thistle, Stirling Albion and Albion Rovers, before becoming player/assistant manager at Arbroath in 1994. He then joined junior side Armadale Thistle. Jim was born on this date in Hamilton. 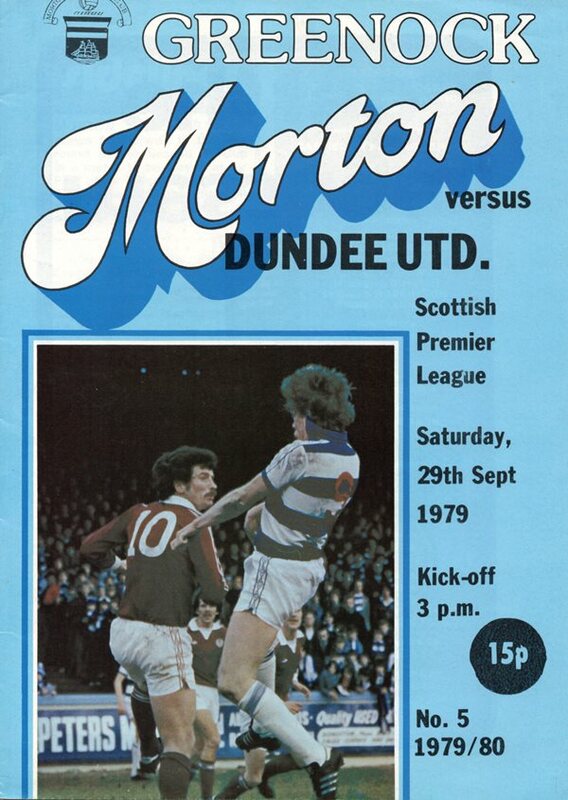 A game in which the roof fell in for United after Willie Pettigrew had secured a 52 minuie lead. Within sixteen minutes, Morton had replied four times, inspired by Andy Ritchie who netted a hat-trick and a single goal by Scott.